Thailand is known to promote wellness and good health. Following Indonesia, Thailand is the second largest healthcare market in the SEA, making up 20% of the total healthcare expenditure in the region. Country data shows that Thailand’s healthcare expenditure is to exhibit strong growth over the next 5 years. From 2010-2015, the country’s healthcare sector grew from 12 billion USD to 19 billion, and is expected to grow to 28.5 billion USD by the year 2020. Identified drivers for growth are government funding, private participation, medical tourism, increased income levels and an aging population. The healthcare market is split into three segments – medical supplies, pharmaceuticals and medical services, with medical services being the most sought after segment in the healthcare sector. As a result, demand for equipment for services in the cardiology, oncology, ophthalmology and spinal surgery department are needed to maintain the services for locals and foreigners alike. 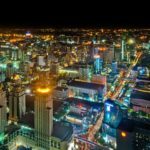 While opportunities are open to public and private sectors (infrastructure projects of district and large hospitals, with private sectors targeting Bangkok), the commercial sector is also open for contribution. Consumers are in need of pharmaceuticals – prescription drugs and patented drugs. The constant widening of basic universal healthcare scheme and an aging population of the country drives the demand for sales opportunities to widen in the country. Local presence is the key to sales of medical equipment in Thailand. There are two main sales channels in the country – government procurement and sales made directly to the hospitals. Country data shows that amongst the two, local presence through a distributor is the most common line for sales of medical supplies. In order to be acknowledged, medical supplies and equipment must be classified, registered and approved by the Food and Drug Administration (FDA) prior to import. As such, production registration for medical devices takes between 4-6 weeks. Pharmaceutical products are also needed to be registered and duly recognized by the FDA. Once registered, the pharmaceutical material will be recognised for 5 years. Depending on drug class, registration varies among pharmaceutical products. The shortest time expected for registration is 4-5 months; this is for medicines with the same active ingredient with those drugs released after 1992. Relatively, the longest is 7-10 months for drugs of new chemical derivative, indication, delivery system and dosage form. Medicines with herbal ingredients found in Thailand will take at least 6-8 months for registration. Overall, registration can be time-consuming but is required to keep locals and foreigners well and healthy. Based on country data, Thailand is in need of quality medical products to keep their inhabitants and prospective clients supplied. Quality medication is also a step in Thailand being recognized as one of the leading countries for world-class healthcare services. Investors and businessmen interested in entering the healthcare sector in the nation can contribute towards this sector while gaining in profits.